NOTE: This content is old - Published: Friday, Nov 16th, 2018. A Wrexham-based sports equipment retailer has been crowned the ‘Lloyds Bank Small to Medium Sized Business of the Year’. 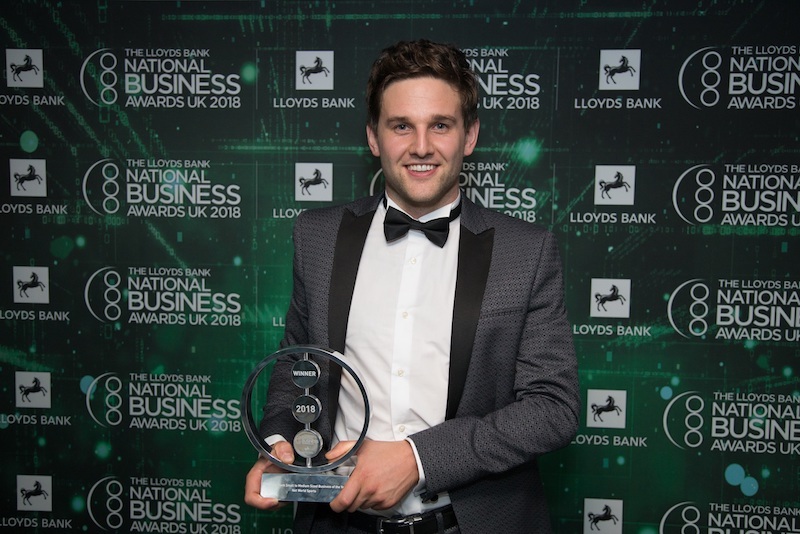 Net World Sports, based on the Wrexham Industrial Estate, received the accolade at the prestigious National Business Awards. Celebrating the Best of British Ambition, the awards took place on Tuesday at Grosvenor House Hotel on Park Lane, London, and were presented by BBC Breakfast’s Naga Munchetty with a keynote speech from the ‘Absolutely Fabulous’ national treasure Joanna Lumley. Nicknamed the ‘Oscars of great British business’ by Former Prime Minister David Cameron, the 17th National Business Awards were attended by over 1,200 business leaders, entrepreneurs, politicians and journalists. Honouring the contribution of SMEs (small and medium-sized enterprises) to the UK economy, the ‘Lloyds Bank Small to Medium Sized Business of the Year Award’ recognises the company that has maintained consistent growth and financial performance; along with having an engaged workforce with effective leadership, can demonstrate effective use of technology / digital media to engage with all stakeholders and is continually innovating to support future growth. Having just reached 100 members of staff last month, Net World Sports has recorded consistent growth across the board every year since founder, Alex Lovén, set up the now multi-million-pound international company back in 2009. Providing niche products to the mass market has continued to stand the business in good stead, supplying quality sports equipment to customers in more than 100 countries, ranging from core markets such as the United States, Australia, Canada and Continental Europe through to Japan, Dubai, and Guam. With robust processes in place, Net World Sports is able to offer next day delivery to customers in the UK, one day shipping to America and two day shipping to Australia, all from their single 120,000ft2 site. 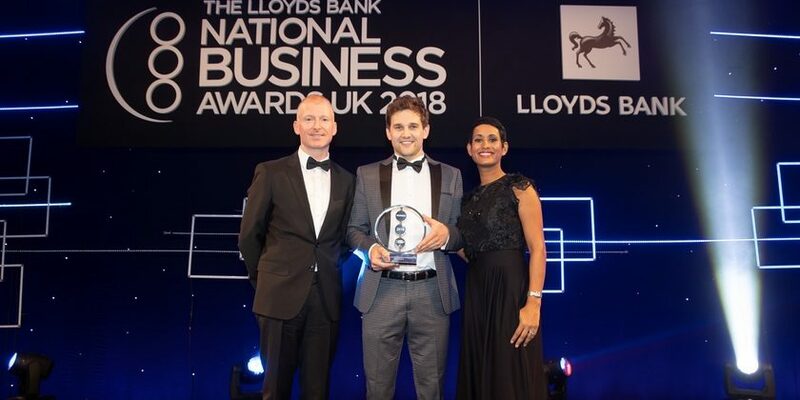 Alex Lovén, managing director of Net World Sports, said: “We’re all over the moon to have been recognised as the best ‘Small to Medium Sized Business of the Year’ at this year’s Lloyds Bank National Business Awards. “We were shortlisted for the award in 2016 back when we were a smaller operation, so to come back two years later after a phenomenal 18 months of success and win is testament to the hard work our entire team puts in day-in, day-out. “When I started Net World Sports back in 2009 I could never have envisaged standing on stage at the Grosvenor House Hotel receiving one of the most respected business awards Britain has to offer. Paul Gordon, managing director of SME and mid corporates, Lloyds Banking Group and National Business Awards Judge said: “This award celebrates the accomplishments of small businesses that have shown consistent growth and strong customer focus. Net World Sports’ celebrations keep continuing as they were revealed as finalists at the Retail Week Awards 2019 the same evening they picked up the trophy at the National Business Awards. Shortlisted for ‘International Growth Retailer’ for a second consecutive year, the sports retailer is hoping to continue their winning streak.